L'Ecuyer's Gourmet: Sun Dried Tomato Chutney! 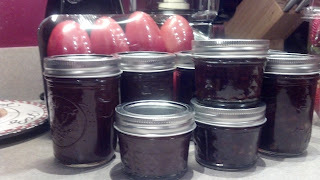 This is my version of Sun Dried Tomato Chutney as well as turning it into a steak sauce! Yum!! I LOVE this recipe! So very easy and absolutely delicious!! The original recipe can be found on SBCanning but I modified it for my allergies. I almost always at least double this recipe to make it both a chutney and a steak sauce!! Try it! So easy! Combine tomatoes, leeks, sun dried tomatoes and raisins in a large stainless steel or enamel saucepan. Stir in sugar, water, vinegar, ginger root, salt and pepper flakes. Bring to a boil over high heat, stirring occasionally. Reduce heat to low and boil gently, uncovered for 30 minutes or until chutney is very thick, stirring frequently. Remove hot jars from canner and ladle chutney into jars to within 1/2 inch headspace. 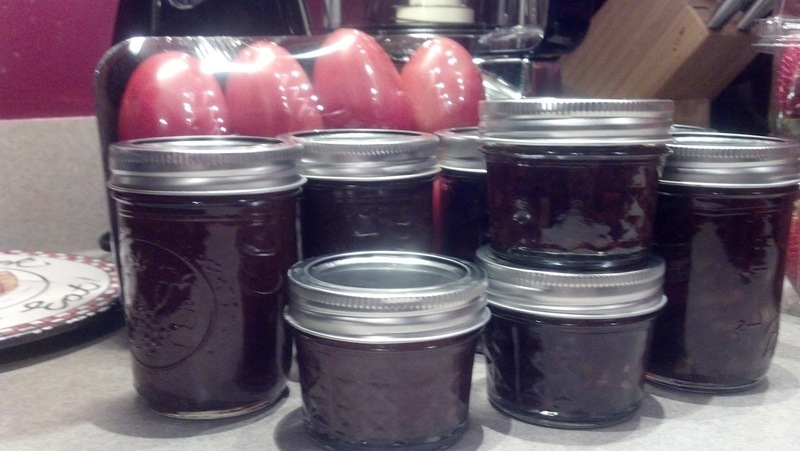 Process 10 minutes for half pint jars. Makes 4 half pints. For different texture you can also blend the chutney using an immersion or standard blender and use it like a steak sauce. It's ready!! Sunburn Relief Lotion!! Just Stunned I tell ya!! New Tool!! Standing Mixer is a must have!! What is a Water Bath Canner? Health Benefits of Almond Oil!! What's the difference in Sugar? Only the finest and natural ingredients! !